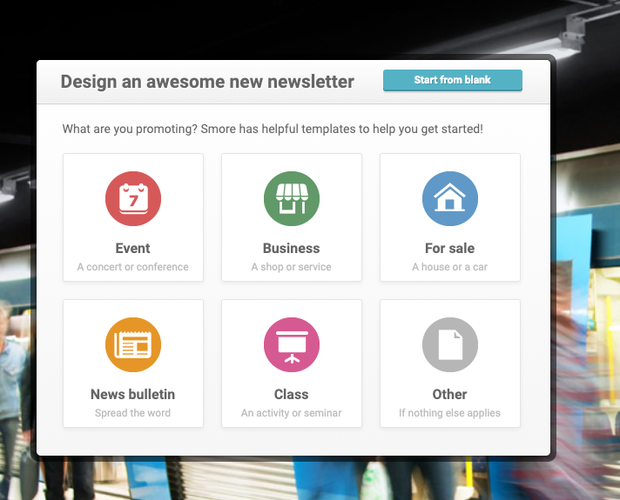 Starting a newsletter on Smore is easy! So how does one make a newsletter? To start a newsletter. click on the "Start a newsletter" button. You can find it on the top right of the toolbar. Note: If you're not logged in to Smore, you need to sign up (for free) to create newsletter. What then? How do I pick what newsletter I can make? 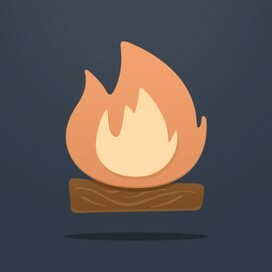 Smore has templates to help you get started. Once you click on "Start a newsletter" you will see our wizard that helps you start making newsletters right away. Pick one of the templates or just start from a blank newsletter. After selecting your template, you will need to pick a title. Just click on the title to change it and click "Done" when you're ready. If you don't have a title in mind, just click on "Skip this step". Keep on editing your newsletter, and when you're done, click on "Done Editing"!